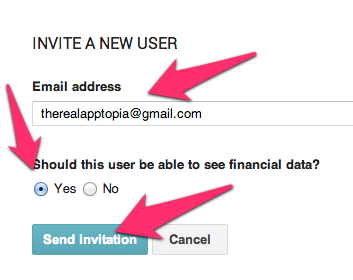 First off, head on over to https://www.apptopia.com/external_accounts and click "Add Account." 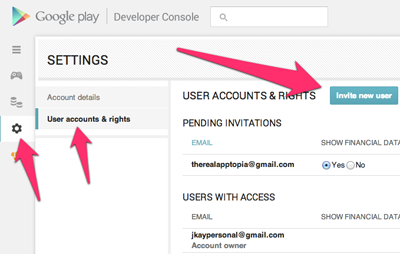 Then select which developer account you are syncing: Google Play or iTunes Connect. We suggest that you try automatic connection which only needs the username and password for each app store respectively. If you'd rather or are having difficulty syncing with the automatic connection, head on over to the manual connection in order to invite us to be users to your account. You'll be asked to give us a Nickname. This is purely for your reference so you can identify which account is which since some developers/companies have multiple accounts. Select YES, "this user should be able to see financial data"
Once Step 2 is complete, and the status turns green above, you will see the screen highlighted to the right in your Android Console. Click "Grant Access". 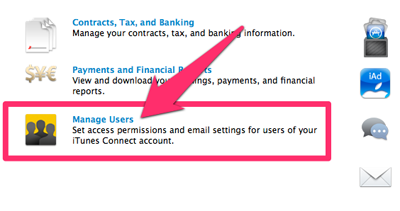 Once you do this you will note the user you added in Step 2 is now listed under "Users With Access". Wait about 10 seconds until the status below turns green, click “Finish”, and you are done!! Once this happens your account is officially connected with Apptopia! 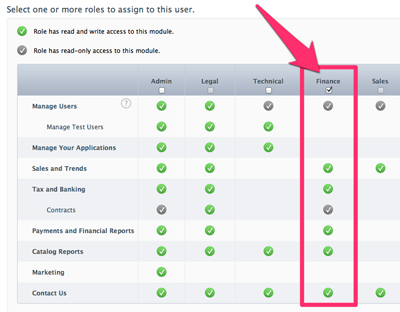 Once logged in click on "Manage Users"
Then click "Add New User"
On the last screen, "Notifications", please check nothing and simply click "Save"
Please reach out to our support team at support@apptopia.com - and make sure to tell them that you tried both automatic and manual so they can take it from there. They'll get you up and running!